Be sure to calendar September 27-29, 2007 for WITI's Women & Technology Summit, Hyatt Regency Hotel, Santa Clara, California - Click Here for Details! The New Management Reality: Retention is the Name of the Game! How many of our organizations have something similar to this statement either buried within their mission statement or stated somewhere in some obscure corporate document? How many of us would say the day-to-day business practices support this claim? The reality is that most organizations would agree with this statement. On some level they realize that it is the people who do the work - the quality of the employees they hire and maintain determines the quality of output. When you embark on a path of personal or professional growth you expect to see progress. You might be willing to accept the fact that important life changes take time and forward progress may be slow, but you certainly do not expect to move "backwards." Yet in my experience of working with those who are redesigning their lives, careers, or businesses I see an interesting phenomenon occur over and over. Even when my clients are making tremendous positive changes they often can't see it for themselves. In fact, the very signs that indicate they are making progress they interpret the wrong way. Alicia Young, an Executive Vice President and New York Technology Practice Leader for Ruder Finn, brings more than a decade of editorial, marketing and public relations experience to WITI. Working for clients such as NEC, Infonet Services Corporation, Booz-Allen & Hamilton, Agency.com, the Technology Practice has earned more than a dozen industry awards and nominations for its proprietary Client Reporting and Measurement systems, Media Relations campaigns, creative use of multimedia PR tools, and effective promotion of new and existing technologies to the press and analyst communities. With a diverse background in consumer, business-to-business and high-technology programming, Alicia is a strategic partner in helping clients leverage their marketing and product/service assets to develop visionary branding and communications programs based upon insightful corporate messaging and measurable results. Alicia's experience involves working with such clients as: Information Builders, Targus, Ricoh Corporation, Microsoft, AboveNet, Sharp Electronics, Time Warner Cable, Technology Service Solutions (IBM), Reebok International, Target.com and Alliance Data Systems. Last fall, the Chicago Chapter showcased the winners of the second WITI "Excellence in Corporate IT Leadership" Award for top Chicago female IT executives. Held at elegant facilities at Northwestern University, the event was sold out and the audience energized, a testament to the community's hunger to hear success stories such as the night's winners'. We are committed to empowering people and organizations to design new and extraordinary futures. We offer consulting services and workshops that go beyond the ordinary. We are an organization known for not only "hitting home runs", but "winning the world series" for our clients. 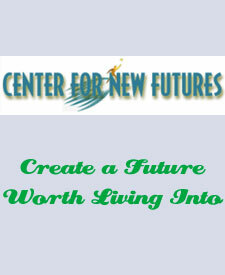 If you are looking for organizational results at new levels, something to set your sales conference apart, or career transition planning that has people finding the jobs of their dreams, then Center for New Futures can help you. Attend the 51st Session of the Commission on the Status of Women (CSW) Conference & Exhibit, Feb 28, 2007, In UN HQS, NYC! Attend Interop Las Vegas to get the big picture. As the leading global technology event, Interop brings together IT professionals and business leaders to see all of the latest technologies in action. Visit more than 400 exhibitors, attend 200+ sessions, and check out live demos of tomorrow's business solutions. Learn how different technologies work together to connect your infrastructure, your business, your people and your customers. Come to Interop this May. It's the only place you'll get the big picture. Join the Interop mailing list to receive event updates and special offers from Interop. Has successfully led IT Operations for a large regional or national retailer, financial institution, manufacturer, or similar organization. Understands the absolute importance of infrastructure up-time. Has experience crafting and executing a strategy that provided for significant IT operational improvements, using frameworks and guides such as the Information Technology Infrastructure Library (ITIL), and Gartner's IT Management Process Maturity Model. Has a proven track record of developing talent within an organization, a strong service orientation, and deep experience with IT Service delivery. Is conversant in the technologies typically leveraged by large IT infrastructure organizations, to include data centers, voice and network systems, servers, enterprise storage, and infrastructure applications and protocols such as messaging, directories, and IP. Possesses strong vendor-management experience, to include the ability to align vendors with the IT infrastructure organization's strategies, and solid contract negotiating skills. Has proven budgeting and financial management experience. Is experienced with offshore application support models. Has participated in business continuity / disaster recovery planning and execution. Enjoys working in a challenging, dynamic, growth-oriented company, and understands the demands placed upon an enterprise-class IT infrastructure organization. Accountable for the direction, management and performance of an area of IS. Analyze cost effectiveness of all programs within the area. Responsible for budgeting and resource planning. Develop and implement policies in accordance with company goals. Advise executive staff on industry trends and legislation that affects specific programs. Align systems and processes to the IS strategy. Develop, manage and audit IS policies and programs. WITI Las Vegas April meeting - Save the date! WITI Las Vegas June meeting - Save the date! WITI Las Vegas July meeting - Save the date! WITI Las Vegas August meeting - Save the date! SVASE MAIN EVENT: SVASE & TiE Silicon Valley JOB FAIR For Emerging Growth Companies!